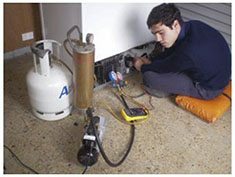 Here at AA King Refrigeration, we act promptly to any calls made to us to minimise the downtime in waiting for your refrigeration or air conditioning to be back up and running. We deal with brands that have had a long-standing success in the industry such as Fisher & Paykel and Westinghouse so rest assured that the work we provide and complete is guaranteed. AA King Refrigeration ensures that you’ll be satisfied with our level of professionalism and affordable prices. Our expert team of qualified technicians will help you with whatever you need. For your next refrigeration or cooling service or if you’re in need of repairs, contact AA King Refrigeration – Refrigeration on 0415 701 691 and we’ll gladly lend you a hand. 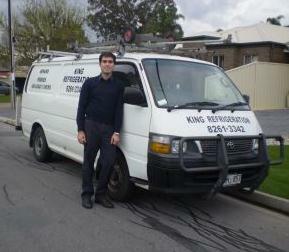 King Refrigeration is a Father & Son locally owned and licensed Fridge and Air conditioner repair business. We have been in the industry since 1987 and we offer prompt, affordable, reliable and honest service. With years of experience in the industry, we can provide you with the solutions to solve any of your refrigeration or cooling needs. AA King Refrigeration provides only the best products and service to our customers. We understand how frustrating it can be when the fridge or freezer doesn’t work properly and you’re left with inedible food or a puddle of water that serves as another hazard. This is the same for your air conditioning needs especially during those summer days and nights when the heat can become unbearable. I’ve used Marco in the past and have always referred him to others needing his services. He’s affordable, on time, does a great job and is a good honest guy. Absolutely recommend! Wow was I blown away by this guy’s level of service. I know this may not happen for everyone but my experience of ringing for someone to have a look at my fridge at 1:30 – 2 pm was meet with I can be there sometime after 3pm to have a look was ok see you when your at my front door, at about 3:30pm Marco was knocking on my door, he came in, we had a look at the fridge and agreed on what we thought was wrong ( the thermostat ) he said I can fix that right now and we agreed on a price, then i was more surprised when I said ok do it when he went to his van and came back with the part needed ( I was thinking would have to wait for part to be ordered ) and within the hour fridge was fixed and up and running. Thanks for the awesome service Marco. Excellent service! Called mid-morning and he was able to fit us in the same day. Immediately diagnosed and fixed the problem for a reasonable price (and fridge is a 10 yr old Westinghouse). I would recommend and use this business again.